Throughout the early years of the 21st century, HUNDREDS OF THOUSANDS of innocent people–mostly males of the lowest classes–were violently thrown against walls or sidewalks while New York City cops frisked and searched them without warrant. 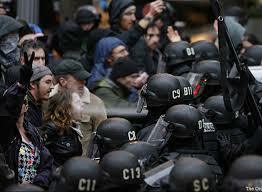 Cop worshippers claimed the “stop and frisks” were necessary to fight crime. 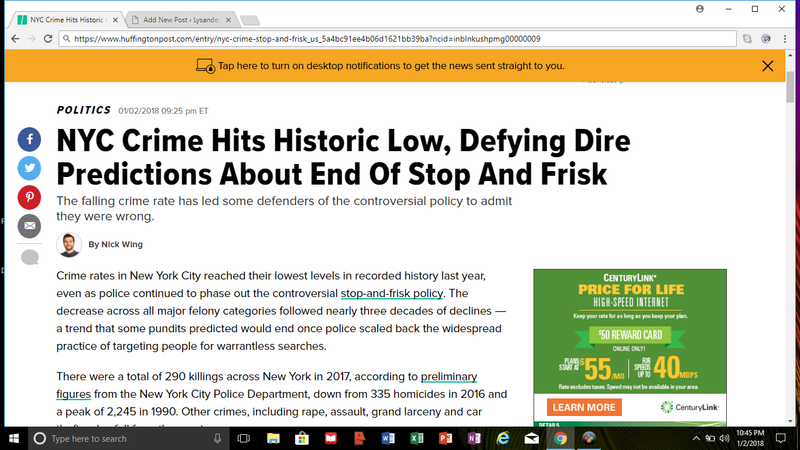 When activists, lawyers and judges worked to halt the humiliating, violent police tactic, tough-on-crime “conservatives” declared that crime would increase. But it did not. 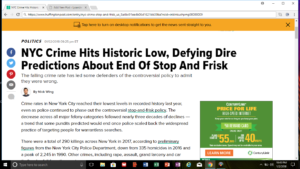 In fact, major crime rates have declined to record or near-record lows after courts ordered an end to the warrantless stop-and-frisks. See here.